Although most understand the importance of protecting dental enamel, many do not know how to spot the early signs of dental decay. Dental decay occurs when the enamel on our teeth begins to wear down and erode. Whereas a broken bone can heal through time, once our dental enamel is gone, it is never coming back. Subsequently, it is crucial to protect our enamel from dental decay. By being able to spot the early signs of dental decay, you can take prompt action after spotting these signs and protect the enamel. The following are the four most noticeable early signs of dental decay. One of the more noticeable signs of dental decay that can actually be visually seen is tooth discoloration. Tooth discoloration occurs when our teeth start to appear grey, brown or black. In most instances, this is due to the erosion of the enamel. Anyone who starts to notice dark spots on their teeth should schedule a dentist appointment and begin proper dental hygiene immediately. In order to notice tooth discoloration when it occurs, it is important to keep a close eye on your teeth and look closely for any changes. Another early sign of dental decay is tooth sensitivity, which is typically caused when our teeth become exposed due to the wearing down of enamel. Anyone who begins to feel extreme sensitivity in their teeth, particularly while eating or drinking, should schedule a dentist appointment to find out the exact cause for the sensitivity. In many instances, a mild form of tooth sensitivity does not lead to enamel erosion, but a more chronic, severe case of tooth sensitivity likely suggests that the individual has a cavity and is at a higher risk of developing other oral health problems. Although tooth sensitivity can be painful, a toothache is very different than tooth sensitivity and is, in a separate manner, an early sign of dental decay. Toothache is the result of dental decay which leaves teeth much more exposed and less protected against harmful acids and chemicals that are found in foods and certain drinks. Toothache typically shows itself as a continuous pain that happens regardless of whether someone is eating or not. More serious toothaches even keep many up during the night, and a toothache should be taken seriously as an early sign of dental decay and treated promptly. Lastly, another one of the early signs of dental decay is pain when there is pressure placed upon the affected tooth, particularly while one is eating. Since dental decay exposes the tooth in ways that it is not used to, more pain is experienced when teeth are being used. In the event that you feel pain while putting pressure on the affected tooth, be sure to visit your local dentist to ensure the dental decay does not progress further. 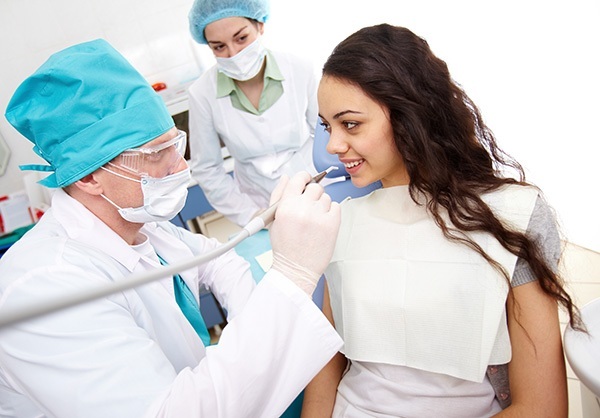 Looking for dental decay treatment near the 92260 area? Call Robert Daddio D.D.S. & Associates at (760) 394-3088.